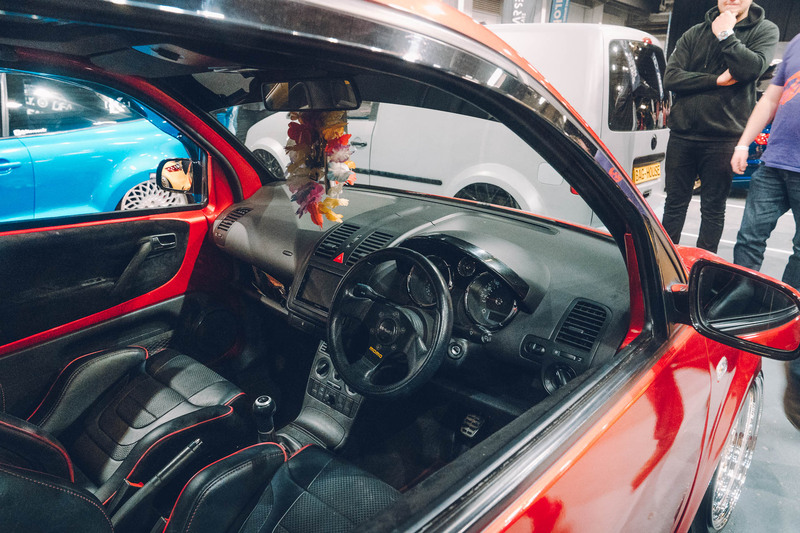 One little hatch we never got our hands on in the USA was the VW Lupo GTI. 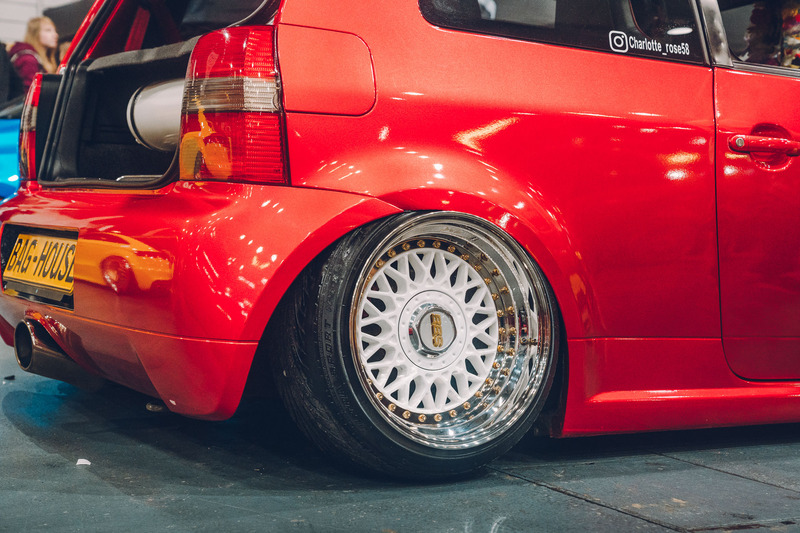 Back in 1998, when the VW Golf was getting seriously porky, VW launched the Lupo – a micro version of the popular German hatch available with a wide range of engine sizes. Skipping past the diesels, the one to buy was the GTI – equipped with a 1.6-litre naturally aspirated lump delivering 123bhp to the front wheels. 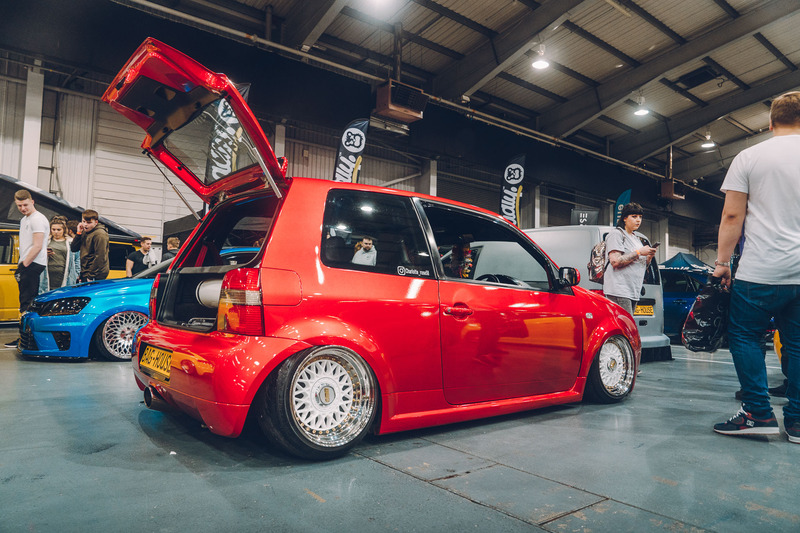 This particular example belongs to UK girl Charlotte Rose Morris, and while it once started life as a standard Polo GTI its current guise is far from that. First things first, let’s take a look at that killer stance. 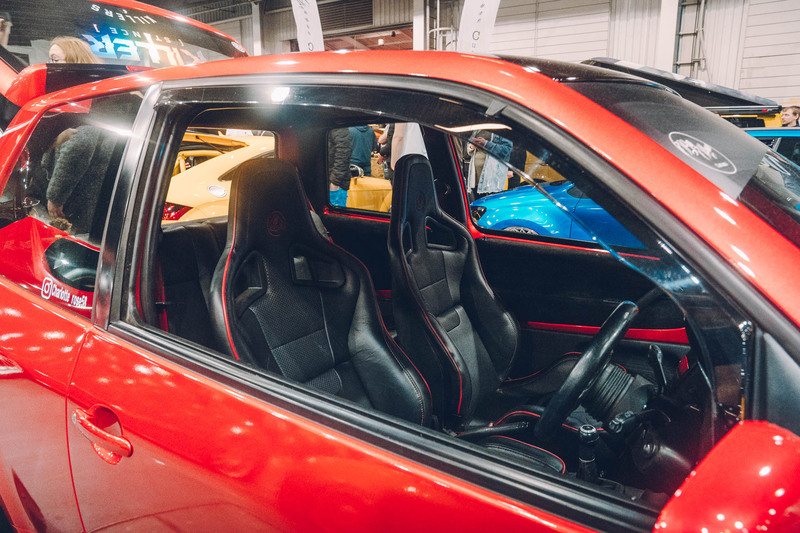 Baghouse Customs made a bespoke air setup for Charlotte utilizing Air Lift’s V2 management to provide on-the-move ride height adjustment at the touch of a button. The custom work didn’t stop there, either. 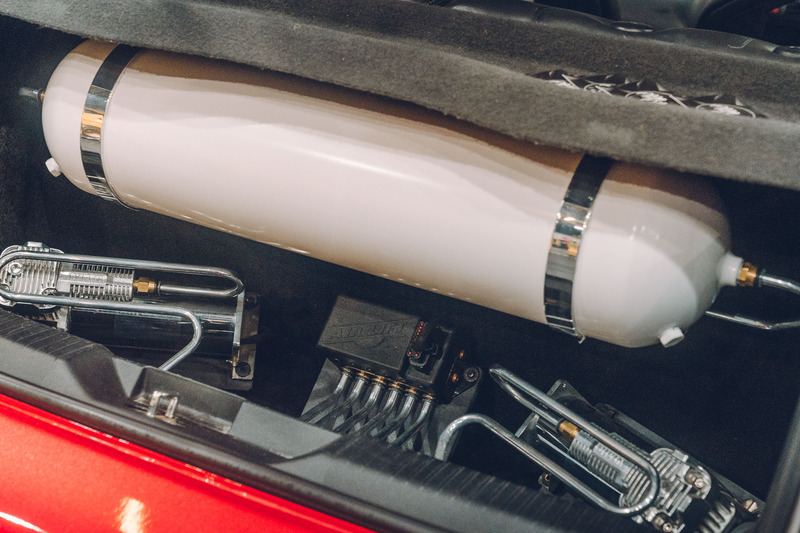 Baghouse also crafted a full install in the boot consisting of 2 x Viair pumps, an aluminum tank and V2 manifold with hard lines used throughout. Just because you can’t see it from the outside doesn’t mean it shouldn’t be taken care of, right? 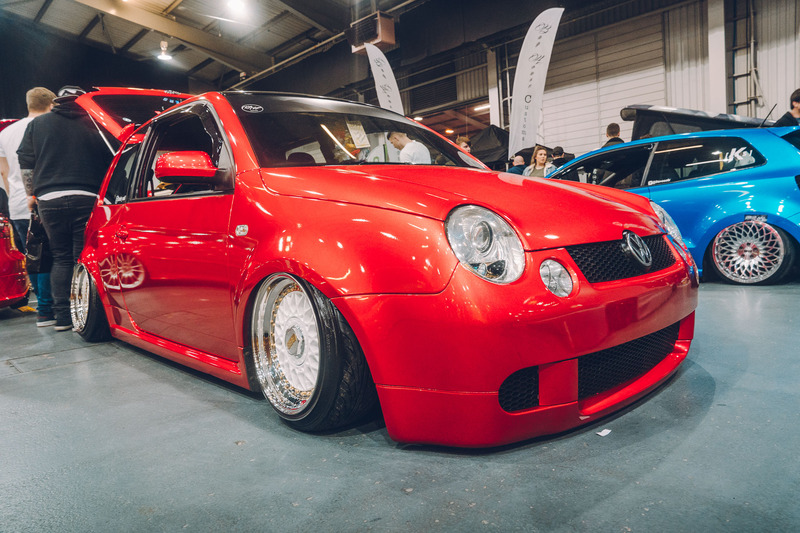 Keeping things fresh for 2018, the Lupo’s exterior has been switched out from silver to a Supercandy Red vinyl by APA Wraps. Say what you want about vinyl over paint, you can’t argue with the quality of modern-day material combined with the speed its applied. And when you get bored, simply peel it off and start again.